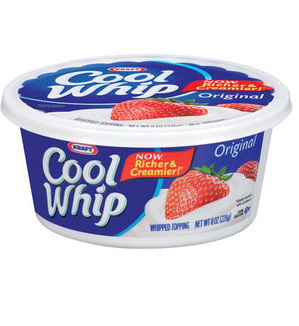 Cool Whip for $0.14 at Target! Remember, you can stack a Target coupon with a manufacturer’s coupon to score some great deals! https://i2.wp.com/savvywifehappylife.com/wp-content/uploads/2010/12/cool-whip.jpg?fit=299%2C326&ssl=1 326 299 Brandi https://savvywifehappylife.com/wp-content/uploads/2016/09/SavvyWifeHappyLife-logo-2.png Brandi2010-12-16 14:27:332010-12-16 14:29:21Cool Whip for $0.14 at Target! No More Rack.com -Daily Deal site! No More Rack is a daily deal site that is offering the first 5 people who sign up through my link to earn $10 in a gift card on their site. Shipping is a flat rate of $2. When you sign up, you can then invite your friends and earn credits for referrals. 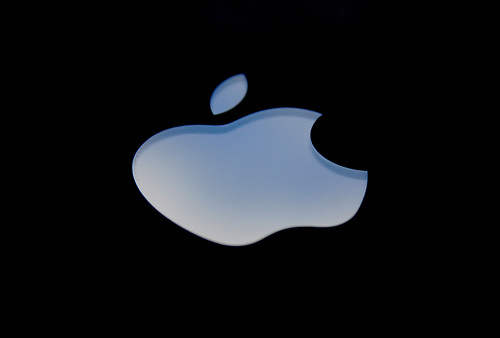 These credits can get you money for their site and free Apple products! Please sign up to help me out! You don’t even have to make a purchase! Then you can share to your friends too! Give people your referral link, found under the “Get Free Apple Products” on the homepage to get them to help you out too! You need to sign up by tomorrow at noon to take advantage of the referral credits! Thanks! https://i2.wp.com/savvywifehappylife.com/wp-content/uploads/2010/12/apple.jpg?fit=500%2C338&ssl=1 338 500 Brandi https://savvywifehappylife.com/wp-content/uploads/2016/09/SavvyWifeHappyLife-logo-2.png Brandi2010-12-15 13:30:022010-12-27 16:08:05No More Rack.com -Daily Deal site! ***EDIT***Instead of CJSAVINGS code, try using SAVE694 to get $20 off your first order! Your total will say $35 because the BOGO sale does not take affect until your order is delivered. $25 should be taken off on your delivery receipt. For a total of $10 for $50 worth of groceries delivered to your door! To make this deal even hotter, go through this link and sign up for a Shop at Home account. 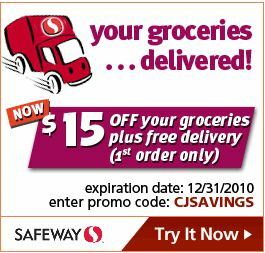 You will get $5 for signing up and $12 for making a purchase through Safeway.com. Shop at Home will mail you a check when you reach $20, so go through Shop at Home when you are buying Christmas presents! They give you back a percentage of your order (the percentage varies based on store)! Amazon has Taylor Swift’s new album for $3.99 right now. Use coupon code STUDENT3 to get $3 off. I don’t know how long this price will last so buy it now if you’re interested.